This is going to be my first official virtual run again. 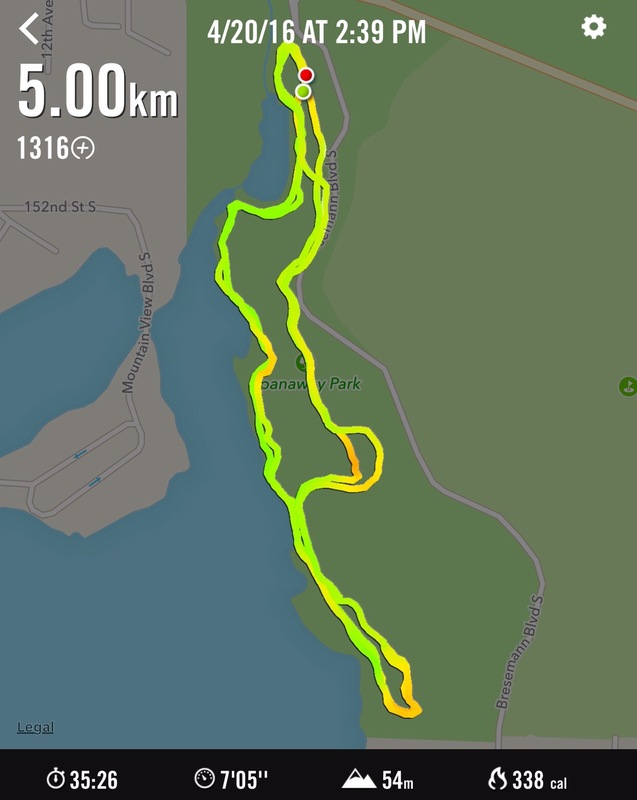 5k, at Spanaway park where I just a few hours earlier took a leisurely stroll with my wonderful Bonne, my youngest minion and Z …. 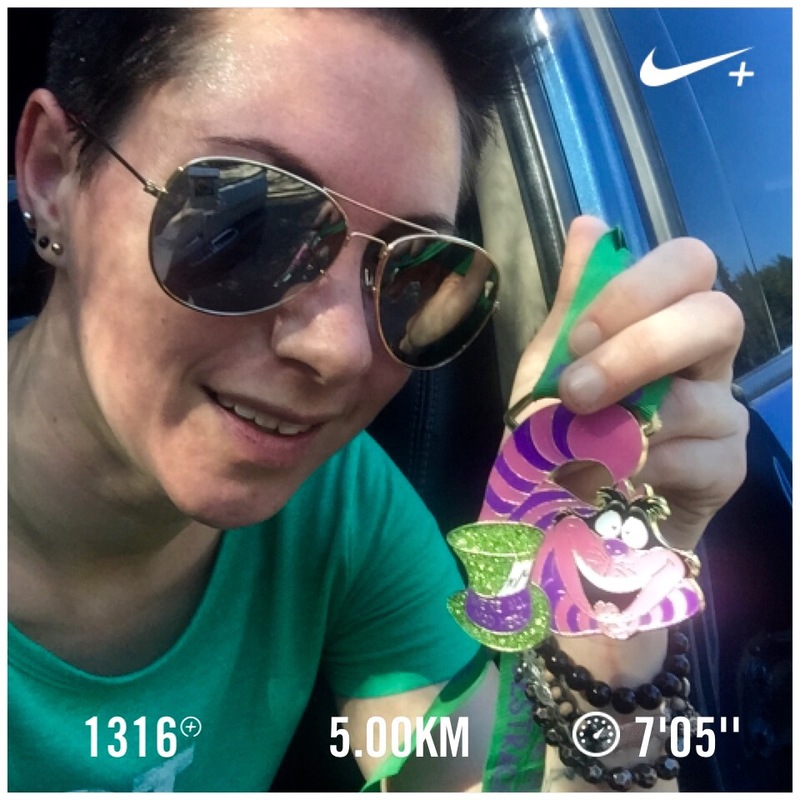 So why not do the 5k here too?! Plus I need the practice for the 10k coming up anyways. This is the path I took, twice what we walked today in 30C (about 80F) heat and some light wind blowing in my face which was nice for me to cool off with. Some of you might have actually ran thise virtual races before and for the once who didn’t get, I wanna explain something. When you sign up for one of those races you get the medal sent to you, a few days later. After that it is up to you, if you run, or walk, the distance and wanna claim the medal fair and square. I am one of those people, I get it out of the mail and then I am working on running he distance and only then I claim it as mine, claim it as I won this cause I did this race. Only thing I gotta do now, log on and put in my time which is not too bad with 35minutes I think.